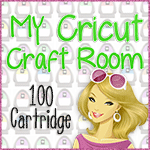 Erica's Craft Room~100 Cricut Cartridge Blog Hop!! I used K&Co Spook*tacular paper pack for all of the patterned papers and I used Recollections cardstock for all of my diecuts. The cute ribbon is made by Bo Bunny. I used my Hello Kitty cartridge to cute out this adorable dressed up HK. I cut her and all of her layers out at 4 inches. The little owl I used Hoot n Holler for him and I cut him and his layers out at 2 inches. The mustache was cut from the CTMH Artiste cartridge at 1/4 inch. The black diecut that I added my title to was cut from Artiste and I cut it out at 5 inches. The letters were cut from A Child's Year at 1 1/4 inches. I love to double or triple frame my photos. I think it adds extra cuteness and you can help tie in colors and patterns. I hope you like my Halloween Layout today! Thanks again for stopping by! Next you will go to my talented DT Sister Miranda's Blog HERE! Have you entered my 250 Follower Giveaway yet? Click HERE to enter! Happy Friday friends! How are you all doing? Hope you have some fun plans for the weekend! I am going to Pittsburgh to the zoo, aquarium, and to visit some Diners Drive-Ins and Dives spots. I can't wait to get away for a little bit! Have you heard? 3 Girl JAM just started a new challenge blog! I haven't entered in a challenge for a while but wanted to be sure to make time to enter this one. I love 3 Girl JAM Crinkle Ribbon and the Owner, Julie, too! This weeks challenge is called "Butterflies and Bows". 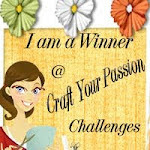 Be sure to head over to 3 Girl JAM Challenge Blog to see all of the rules if you'd like to enter! Here's what I made to enter. I made a tag/card and a decorated envelope. I used my CTMH Artiste Cricut cartridge to cut the tag, envelope, and butterfly. I used a K. Andrew Design stamp for the "for you" and the sentiment is an Itty Bitty by Unity. Jessica, my Sweet Friend Forever, gave me the little pearls that I added to the butterflies. They are made by Want to Scrap. The 3GJ Crinkle Ribbon is in the color Iris. I used it for the bow and for the top of the tag. I did emboss my stamping with purple embossing powder, although it's hard to tell. That's it! Pretty quick and simple. I hope you like my creations today! Thanks so much for stopping by! I hope you all have a wonderful weekend! Have you entered my 250 Follower Giveaway yet? You can enter HERE. Hello crafty friends! Hope you all are having a good week! Today I have a altered clipboard to share with you and some info on a HUGE giveaway! I went to goodwill a while back and found a new clipboard for 35 cents. I snagged it up knowing I could do something with it. Here's what I came up with.. I used my new CTMH Artist Cricut cartridge for the cute owl. I cut it out at 6 inches. I used Bo Bunny SWEET TOOTH patterned papers, vintage photo ink, some ribbon, a flower, and brad. The stamp is an Itty Bitty by Unity that my friend Jessica gave me. That flower was white and I inked it to match my project. The clip was also white so I added some staz on ink to that to make it not stand out so much. I think it turned out pretty cute! Here's another view. Do you have a Cricut? Do you LOVE it like I do? I have more than one Cricut and they have never let me down!! 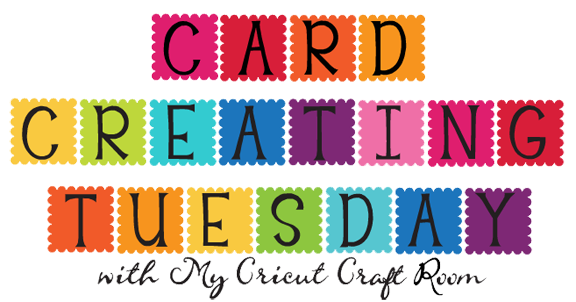 Well right now there is a HUGE giveaway going on over at My Cricut Craft Room! Erica is giving away cartridges and paper packs so be sure and head over to get entered to win! There is also and event on Facebook HERE. I hope you all have a great day! Thanks so much for stopping by to visit me! Good morning, crafty friends! I hope you all had a wonderful weekend! My 4 year old daughter and I went to a Mother/Daughter sleepover this weekend. We had so much fun! The moms crafted and the (3) four year old girls played their little hearts out! It's so awesome to have great crafty friends that live close by where we can do things like that! So, today is IMAGINE ation Monday! That means I get to use my Imagine machine and share that project with you. I love my Imagine machine because it really makes cute images in just a few seconds! Here is the project I made to share. For my card I used the Imagine More Cards Cricut Cartridge. I cut the cute little image out at 4 inches. I started with Kraft cardstock, used my We are Memory Keepers corner rounder, added a piece of Core'dinations cardstock in brown, then rounded those corners, added my cute image/sentiment, put some bling on the corners, and lastly, added the pink twine. This came together so quickly! Here are a couple of more photos. I hope you liked my card today! Thank you so much for stopping by! Please be sure to go by My Cricut Craft Room and see all of the projects my talented design team sisters came up with!!! I used the Sugar and Spice Lite cartridge to make the cute owl. I cut her and all of her layers out at 4 inches. 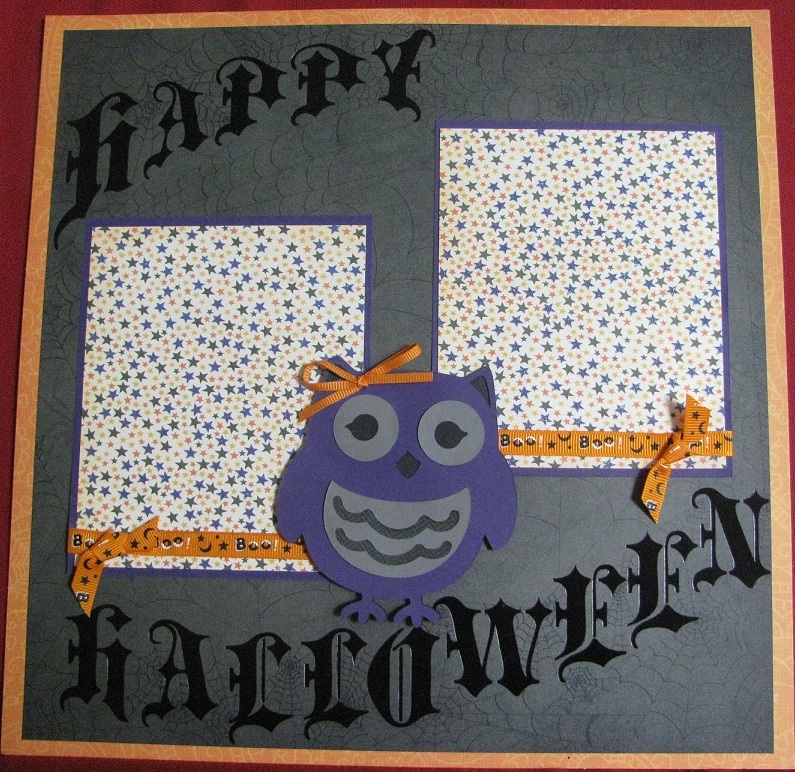 I used Recollections cardstock for the owl and DCWV Halloween stack for the rest of my layout. The cute ribbons I got from one of Erica's Ustream sales. Here's a couple more pictures of my project. Look at the cute ribbons! My sweet lil' owl. Love the bow! I hope you like my project for today! Please be sure to stop by My Cricut Craft Room to see what my talented design team sisters have created to share! Thanks so much for stopping by! I stamped a little owl/sentiment stamp I picked up at Michael's for a dollar. I colored in the owl with archival safe EK Success colored pencils. That's it! Super quick and easy! I hope you all like my card today! Thank you for stopping by! Click HERE to enter my 250 Follower Giveaway!! So, the other night I went to Jessica's and we got to craft together for a bit. Yay! I had seen a digi stamp on facebook and she printed it out for me. I fell in love with it!! So, I colored her and made a card that I want to share with you. Here it is.. I am hoping to have time to come by and visit all of my friends' blogs today! There are just not enough hours in the day! Where do my days go?! Hope you all enjoy your day! Thank you for stopping by! New Blog Header-My friend Erin-Adoption~How you can help! Please click HERE to enter my Big 250 Follower Giveaway!! Good morning to you all! Today, I wanted to point out my new blog header that I had done. Isn't it adorable? I just had a boring title there before and now I have a colorful title with a sweet little owl~you know they are my favorite thing!! How did I get that header you ask? My friend Erin Slay made it for me! Didn't she do a fabulous job? Erin and her hubby, Chris, are trying to save up enough money to adopt a little one. She is now offering blog make over services to help raise funds! If you have been thinking about getting something new on your blog PLEASE contact Erin! Here is the link to her blog the silver lining. You can take a look around there to read more about them and their story. She also has a donate button on her blog if you would like to help them out. They would appreciate ANY help at all! There is one more way you can help. There is a Scentsy Adoption Fundraiser. 25% of every sale will go to the Slay's to help them reach their goal. HERE is the link to the Scentsy page. Up at the top there is a link that says "Slay Adoption Fundraiser" just click on it and shop till you drop! Thank you so much for taking the time to read this post today! Please go and follow Erin's blog so you can keep updated on their progress! Hope you all have a great week!! A card to share and kids can REALLY help in the craft room! Please click HERE to enter my 250 follower giveaway! So, I went to my friend Jessica's recently and we got to craft together for a bit. I made a few projects and today I want to share this super quick and easy card! For this card I used Core'dinations glitter cardstock (that I picked up for 4/$1 at Joann), black cardstock from my stash, a piece of patterned paper from K&Co Edamame stack (that I picked up for $6 on clearance at Joann). some chevron washi tape I snagged from Jessica, some black twine, and a hoot hoot stamp by inkadinkadoo. This card seriously took me maybe 10 minutes! I think it turned out pretty cute for such a quick card. Hope you like it, too! Now it's time to share a few hints with you that might let you get some crafting done if you have little ones around. Kids love to use the Cuttlebug! We like embossed papers! Here's what you do..you get out your Cuttlebug, a bunch of papers in different colors and sizes, and all of your embossing folders. Show your little one how to use it a time or two and let them at it! 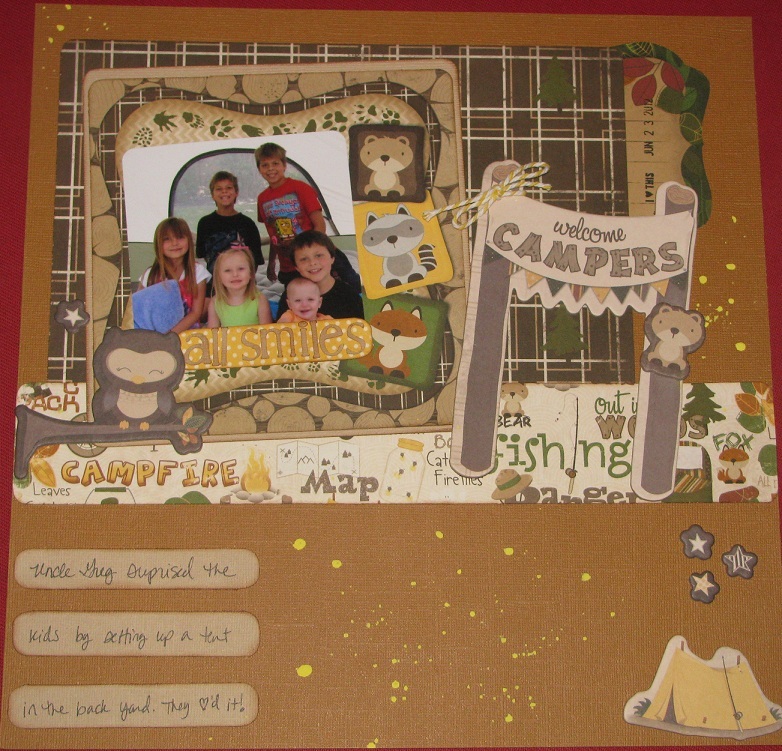 They will have a blast embossing all of your papers in different colors with different embossing folders! Then put them all together so later you can grab the stack of already embossed papers and grab the perfect one to go with the project you are working on! Saves time and keeps the kids out of your hair for a bit, too! LOL Here is Gretchen getting her Cuttlebug on..
Another tip is to do basically the same thing but with punches. 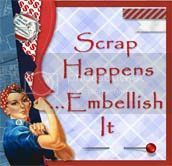 Get out all of your punches, lots of scrap papers and let the kids use up your scraps and make you some shapes to use at a later time. 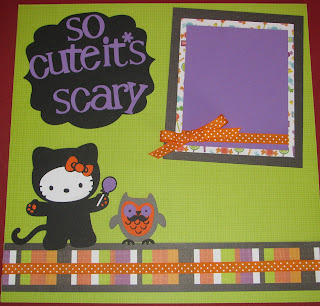 These are also great to let your kids glue down when they want to make a card or project while you are crafting. 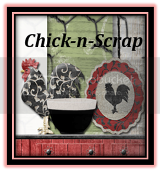 I hate to throw away scraps, so I love to try and use every bit I can. (even though I have a gazillion sheets of paper!!! LOL) Here's Gretchen making me some cute punched goodies..
My last tip for the day is to have your kids help you organize in your craft room. Kids love to help so take advantage of it and let them help you out! :) I always have a big thing of scraps..I have a shelf I use to organize them by color but when I am crafting I tend to just throw them in a basket. I give the basket to the kiddos and have them separate them all out my color. They are learning colors in the process..see..it's not ALL just for fun! ;) Then after they get them separated you can either put them on a scrap shelf like I have or in drawers or even in gallon size ziplock bags. It sure makes crafting easier when you are organized! You can also have them separate buttons, brads, etc by color, too! You get the idea. I hope you all enjoyed my tips for today! Please leave me a comment and tell me how your kids or grandkids help you in the craft room! Thanks so much for stopping by to visit! I appreciate it so very much! 3 Girl Jam Guest Designer!!! For my 250 follower giveaway please click HERE! Hi friends! 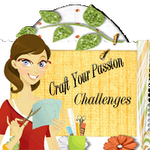 I am honored to be guest designing over at the 3 Girl JAM blog today! I have been a fan of 3GJ Crinkle Ribbon for quite some time now! It comes in a wide variety of gorgeous colors! My friend Julie and her two daughters hand dye the ribbon themselves! They asked me to share a photo and this one was taken just the other day. I thought I'd share it here, too. 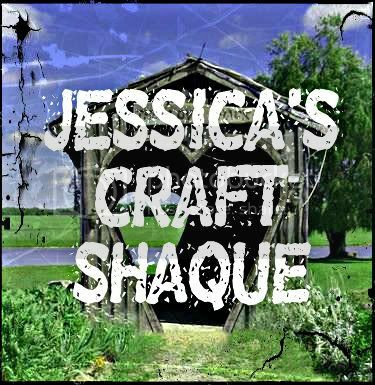 To see my whole layout and a list of supplies, please visit the 3GJ blog! Thank you so much for stopping by! Hope you have a wonderful day!! For my 250 follower giveaway please go here! Please be sure to stop by My Cricut Craft Room and see the cute projects my design team sisters have made! MCCR is also full of tips and tricks so check it out!! 3. Post on facebook about my giveaway. 4. Post about my give away on your blog. Be sure to leave me a comment for each thing you do! I will draw ONE winner when I hit 250 Followers! Here's what you could win. So spread the word to all of your friends!! Thank so much!! Hope you all enjoyed my outdoor layout today! Thank you for stopping by! 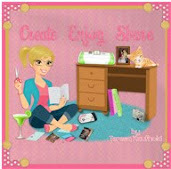 :) Please be sure to visit My Cricut Craft Room and see all of the other great projects made by my design team sisters!! Collectively the design team uses over 100 different Cricut Cartridges in their projects during the two days of this hop. What an exciting weekend!! I have a couple of different projects to share with you today. The 3 cartridges I chose to work with Pagoda, George and Basic Shapes, and From My Kitchen. Here is my first project.. This is a recipe page in my smash book. We have a favorite family recipe for apple cake and everyone just loves it! I cut the recipe card at 4 inches using the From My Kitchen cartridge. I also cut the measuring utensils (from the same cart) at 2 1/2 inches. I used George and Basic Shapes cartridge to cut the title at 3/4 inches. I used MME papers, Kraft cardstock and some misc. stickers. I inked all of the edges with Vintage photo ink. This came together really quick and now I won't lose my favorite recipe! I used the Pagoda cartridge for the cute little Panda. I cut him out at 3 inches. I stamped the sentiment, added washi tape, tied a bow with a couple of strands of twine, and used a border punch on the bottom of the accent piece. Another fast and easy project! Here is the entire line up in case you get lost along the way..
Hi friends! Just a quick post tonight to share my Fresh Brewed Designs (digi stamp) card I made today for a challenge. Fresh Brewed Designs has the cutest rubber stamps and digis! They are having a blog hop coming up on August 18th-20th! You won't want to miss it! Here is the little card I made while visiting Jessica today. Thank you, Jess, for printing the digi for me! I used the FBD digital stamp called Sweetie Sea Turtle for my card. Isn't it adorable? I don't know all of the names and brands today because I wasn't using my supplies. If you have any questions, you can ask and I can find out from Jess. :) I did use 3 Girl Jam Goblin Green crinkle ribbon..love it! Thank for stopping by to visit tonight! I need to get in my craft room and clean because it's such a mess, I can't even create in there right now! Have a great night!